Please read and follow these simple guidelines to prepare your quilt. 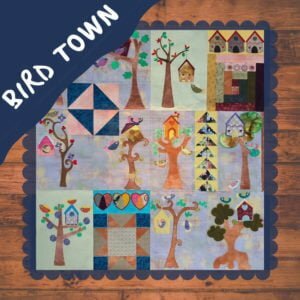 Your quilt top should be a perfect square or rectangle. The edges of your quilt top should all line up and have 90 degree corners. Why? If the quilt isn’t straight, it won’t load straight onto my frame. If it’s not straight on my frame, the batting and the backing will not align either leading to insufficient backing or batting to complete the quilt. And any straight line stitching that I may do on your quilt, won’t be straight! Please clearly mark the top and bottom of your quilt top. Which way is up is important to ensure that your quilt top and backing is oriented in the way that you would like it. I realise that this is generally obvious, but you do get those that are a bit more mysterious. It helps me tremendously when you take the guess work out of my hands. All seams should be pressed properly. Please do not press your seems open unless you are having a pantograph, edge to edge quilting done. Pressing to the dark side of the patch or in the direction that allows the quilt to lie flat is sufficient. Make sure that your quilt lies flat when you lay it out. If it waves or wrinkles when you lay it out, it will wave and wrinkle when I lay it out. Waves and wrinkles are frustrating to manage when quilting and will likely result in unwanted tucks and gathers. Please note that I don’t offer a steam or ironing service. If your quilt top isn’t flat, you run the risk of getting gathers and tucks that will affect the outcome of your quilt. Seams that meet the edge of the quilt should be backstitched please. When the quilt is loaded, seams that are not backstitched tend to unravel, and it makes my job that much harder and time consuming. Not to mention skewing up all the angles that you worked so hard to achieve with your patchwork. If you forgot to do this, or you don’t want to keep track of the blocks that will be the edge of the quilt, simply stitch a quarter inch around the edge of the quilt top. This will make sure that all the patches on the edge stay in place. That quarter inch stitching will get hidden when you square up your quilt to do your binding. Those darn pesky little ends that somehow seem to make it through the patchwork process, are a major nuisance when quilting. They end up getting into the quilting stitches, which simply detracts from the end result. And when they’re at the back of the quilt top, they have a nasty habit of making themselves visible when all the quilting is done. Please carefully check your quilt top for any of these critters. If I find them while I’m quilting, I will remove them as far as possible. However, when a quilt is loaded to the frame, and there’s a thread that slipped past all of us, (especially on the underside of the quilt top) it is impossible to remove without removing the quilt from the frame. And then we have alignment issues and stretching issues and lots and lots of issues, making all of us unhappy! I am afraid that I don’t work with quilt tops that have appliqué – unless it’s my own. Why? Experience has taught me that with every method of appliqué there is always a degree of bubbling that can happen when the quilt is loaded onto a frame. 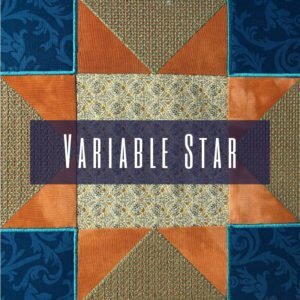 Smaller quilts are better, but large quilts are notoriously problematic, and I have chosen to rather steer clear of these. Free motion quilters that do not use a frame, are better equipped to handle this, and I am more than happy to put you in contact with the best in the industry. The preparation of your backing is as important as the quilt top. Again, backing fabric must be a perfect square or rectangle. If your backing is not square with 90 degree corners, it will never load onto my frame properly, and the same issues I mentioned for the quilt top, will apply to the backing. Also, the mystery of which way is up should be cleared up. Please mark the top and bottom of your quilt backing. Your backing fabric should be at least 5″ larger than your top on all sides. Why? As a quilt is stitched, there is a degree of shrinkage and shifting that takes place, and if there is extra batting and backing on the sides, it will compensate for this. This will mean that if your quilt top is 80″ x 80″, your backing fabric should be at least 90″ x 90″. Please keep to cotton, not polycotton or polyester. It stretches, and will just detract from your quilt result. Now, I know that quilt backing fabric can be very expensive. Personally, I use good quality sheeting that you can generally get as wide as 230cm if not more. By good quality, I mean a thread count of 200 or more. I read somewhere that 400 is as high as good quality gets, as anything higher than that means that the manufacturer used multiply thread, which gives you a scratchier and denser result. If you can see holes in between the threads when you hold the fabric to the light, you don’t want to use that! If you have pieced your backing, please make sure the seams run horizontal to the quilts orientation. When a quilt is loaded to a frame, it scrolls onto poles during the process and if the seam is running vertical, the quilt will get a bulge on the pole, which will affect the end result. I want to ensure that there is always an equal amount of the three layers on the poles, and a horizontal seam makes this possible. Vertical is a no, no. Please avoid symmetry in your backing. I know that it brings great joy and satisfaction (no, actually I never do special stuff with the backing) to some quilters to make a reversible quilt, but it is extremely difficult to line up the backing to the front exactly. Quilt backing should be simple, preferably one complete piece of fabric. Please don’t sandwich or baste your top, batting and backing. The layers are loaded on the quilt frame separately. I provide the batting for your quilt, unless you want super special all cotton or bamboo batting – I don’t keep those, as they are VERY expensive. In this case, you’ll have to provide the batting, and it will also have to be the size of the backing fabric. 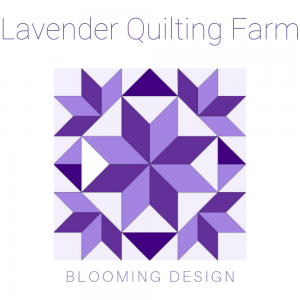 THANK YOU SO MUCH for considering me to be your longarm quilter! Please contact me at aggie@lavenderquilting.com if you would like to enquire about getting your quilt stitched by myself.